Alphabet Challenge – “I” is for "Indigo"
That indigo colours is just amazing !! As is the yellow !! Fine shot ! Stunning color on this butterfly (IHNC what it is), and a true indigo. Some fun "I" facts about the color indigo. In the ancient world it came from, among other places, the Indus Valley in India. New Age "psychology" associates it with intuition. 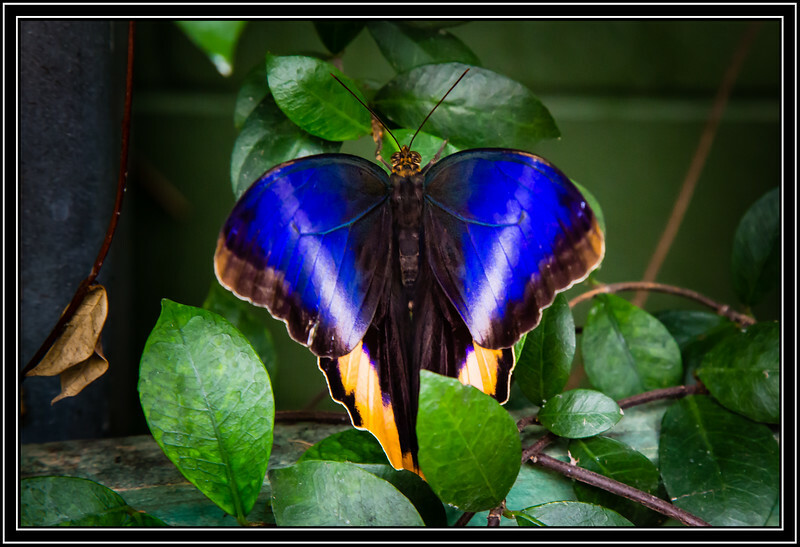 A quite unusual and very beautiful butterfly--perfect for the I challenge. Wow, what a beautiful color, and definitely a great I for today. beautiful "I" indigo color of this butterfly!! Great capture of this colorful butterfly. You did "I" for indigo.